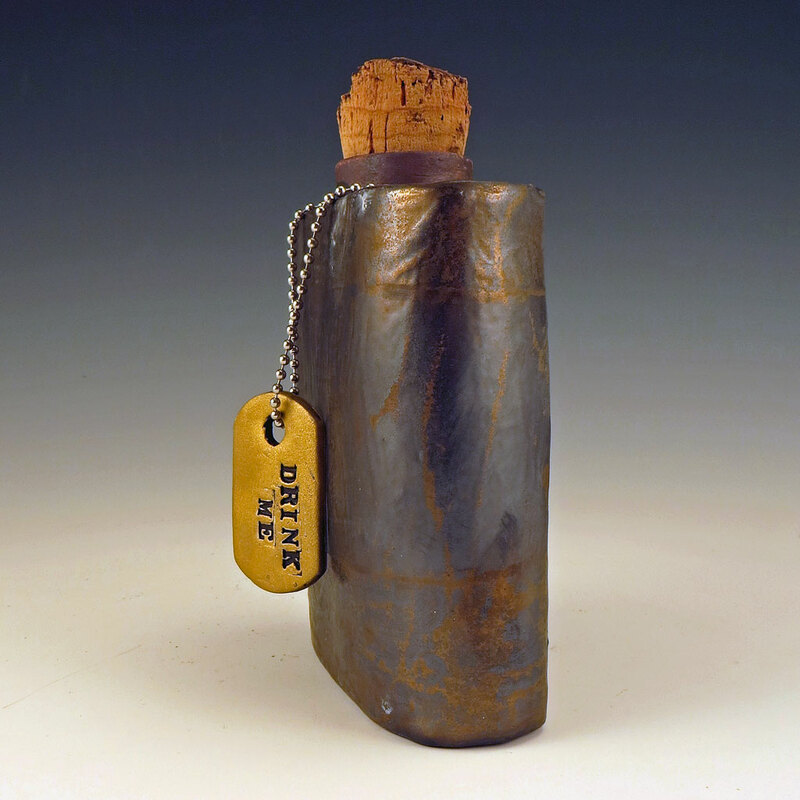 Here’s a handy flask from the Apothecary Series of vessels imbued with healing properties. “DRINK ME” the tag says, and this means nothing but goodness will come from within, even if it’s imaginary. 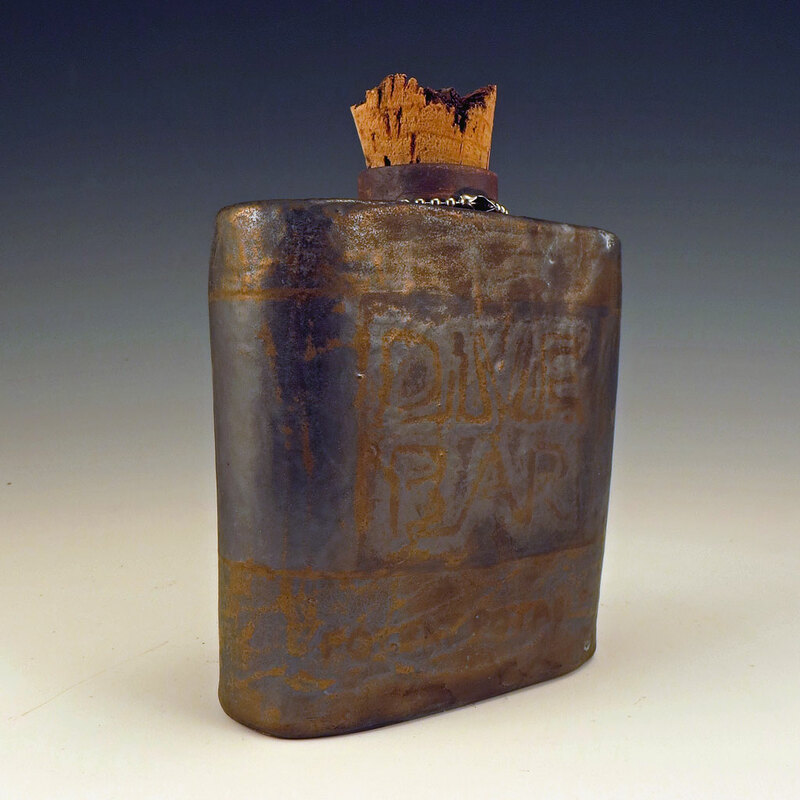 This finely fitted flask is hand-formed in a comfortable oval shape and hand-decorated. 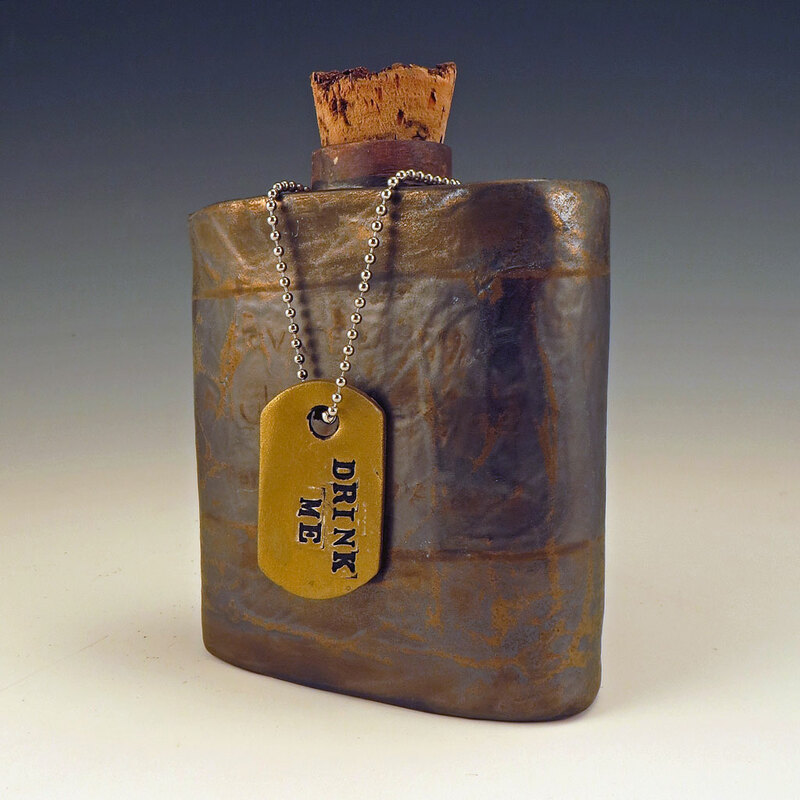 It features an Old Gold glaze with a rustic interior and cork stopper. 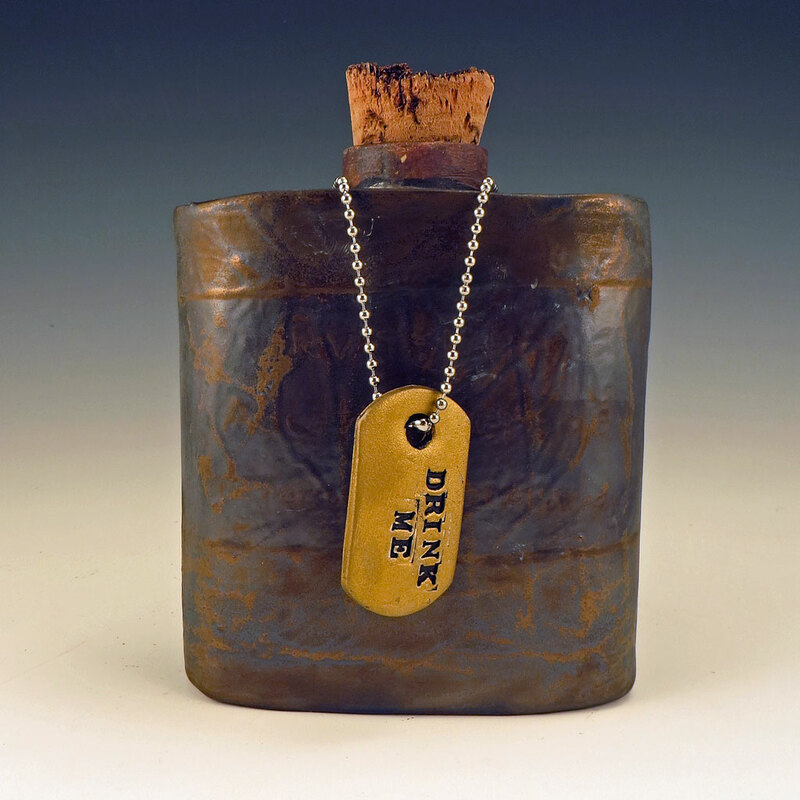 The dogtag on a chain is burnished with gold metallic wax. The cork truly functions as a stopper. Go ahead, fill it with something wonderful and drink up! Care: Remove cork, chain and tags before Handwashing.